In this episode I finally encounter X-Men: Schism, which marks the beginning of the end of the X-Men franchise for me. It’s accompanied in this comic book bundle but two other horsemen of the X-Men’s apocalypse – X-Sanction and Brian Bendis’s Avengers Assemble. Are you ready for my unleashed x-fan rage?! Episode 82 features X-Men Schism, Avengers Assemble by Brian Bendis, and X-Sanction. 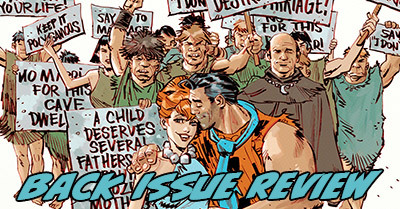 Back Issue Review: The Flintstones, Green Lantern Corps, Eugenic, Space Battle Lunchtime, and more! My reply to you is that comics as a medium is so much more than what you’re seeing on the big screen or in the pages of X-Men books. I’d love to connect you with a new favorite read, but also with a wider awareness of the medium. That’s a lot of indie comics and absolutely no Marvel! Please let me know if you like this this post – it’s the second pilot of this new weekly series, but there’s no guarantee it will be back for more. And now – let’s get to the comics! 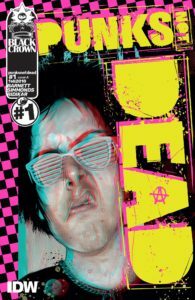 [Read more…] about Back Issue Review: The Flintstones, Green Lantern Corps, Eugenic, Space Battle Lunchtime, and more! 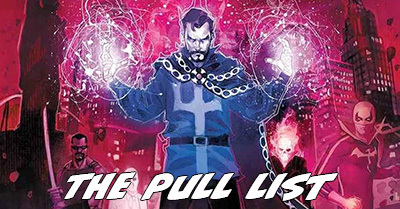 Today I pull a trio of modern Marvel events, plus my only Marvel Now Omnibus! Watch as I continue the Young Avengers thread from last episode, plus explain Age of Ultron, and enthuse over Original Sin. Want to start from the beginning? Here’s the complete Season 1 playlist of Crushing Comics. Episode 10 features Young Avengers: Children’s Crusade (Amazon / eBay / 2017 TPB) and Young Avengers by Kieron Gillen & Jamie McKelvie Omnibus (Amazon / eBay), as covered by the Guide to Young Avengers, and Age of Ultron (Amazon / eBay) and Original Sin (Amazon / eBay), explained the Guide to Marvel Events. A few hours ago DC Comics dropped the biggest bombshell comics industry news we’ve heard in years. Forget special events or character deaths – this is truly a “nothing will ever be the same” kind of event. It’s hard to imagine industry news bigger than that, aside from perhaps Jim Lee abandoning DC to head back to Marvel! Anything less couldn’t possibly compare. That’s because Bendis’s hand in steering the development of Marvel’s comic universe over the course of the past 17 years cannot possibly be overstated. 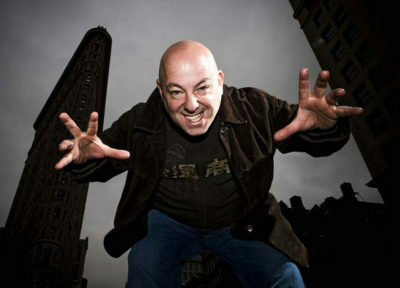 Brian Bendis completely rebuilt the Avengers franchise into a multi-title behemoth over the course of seven years, defining Marvel’s Universe along the way in a series of major events that fundamentally altered the company’s status quo. He has solely written the Ultimate version of Spider-Men since 2001, including creating Miles Morales and bringing him to the main Marvel Universe. He created Jessica Jones and set Daredevil on a course that had seen continued critical success through present day. He took previously forgotten characters like Luke Cage, Iron Fist, and Spider-Woman and brought them back to prominence for other writer’s to develop. That assessment doesn’t even mention his Guardians of the Galaxy, X-Men, Iron Man, or any number of other major titles. Brian Bendis has just written a lot of comic book issues and stories. Even as a non-fan of most of Bendis’s output, I cannot possible deny his impact. While it will be a little while before we learn who will be the new driving force behind Marvel’s creative direction, the more imminent question is: who will replace Bendis writing four titles a month!? We’re heading into Marvel Legacy with him writing Spider-Man, Iron Man, Jessica Jones, and The Defenders. Plus, we have to make sure to leave at least two writers with room to steer The Avengers franchise, which will be up for a shake-up in April. Plus, we need to staff the impending returns of Wolverine and the Fantastic Four (both heavily speculated as potential Bendis territory). And, finally, we ought to spare at least one writer for a marquee X-book. I read Jason Aaron’s run on 2010’s Wolverine series live as it was happening… and I did not like it at the time. In fact, “did not like” isn’t really strong enough language to describe my reaction to Jason Aaron writing Wolverine. If I was ever going to consider burning some comic books, it would have been this run, which I considered to be offensively bad. However, with the hindsight of where Jason Aaron took Wolverine after this run I can appreciate what he accomplished, and even enjoy some of the individual turns. Weirdly, if this omnibus ever came to pass, I’d be sorely tempted to buy it. Wolverine by Jason Aaron, Vol. 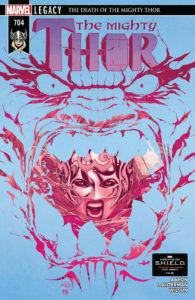 2 is the #33 Most-Wanted Marvel Omnibus of 2017 on Tigereyes’s Secret Ballot. Visit the Marvel Masterworks Message Board to view the original posting of results by Tigereyes and collect all of these issue right now as detailed in my Guide to Wolverine. Past Ranking: A 2017 debut! Probable Contents: This would mirror a pair of Jason Aaron Complete Collections by collecting Wolverine (2010) #1-20, 5.1, & 300-304, plus Astonishing Spider-Man & Wolverine #1-6 and material from Wolverine: Road to Hell. It should also add X-Men: Schism #1-5 and the digital-first series “Wolverine: Japan’s Most Wanted” co-written by Aaron with Jason Latour. Creators: Written by Jason Aaron. Wolverine series letters by Cory Petit. Wolverine #1-5, 10-14, & 20 pencils by Renato Guedes, inks by Oclair Albert and Jose Wilson Magalhães, and colors by Matt Wilson (with backups drawn by Jason Latour with colors by Rico Renzi). Wolverine #6-9 art by Daniel Acuña (with Jefte Palo colored by Nathan Fairbairn on #5.1). Wolverine #15-16 line art by Goran Sudžuka with color art by Matt Wilson. Wolverine #17-19 line art by Ron Garney with color art by Jason Keith. Wolverine #300-304 by multiple artists, including Ron Garney, Adam Kubert, and Steven Sanders. Astonishing Spider-Man and Wolverine pencils by Adam Kubert, inks by Mark Morales and Dexter Vines, colors by Justin, and letters by Rob Steen. X-Men: Schism by multiple artists. Wolverine: Japan’s Most Wanted co-written by Jason Latour with line art by Paco Diaz, color art by Marte Gracia and Israel Silva, and letters by Cory Petit. Can you read it right now? Yes! 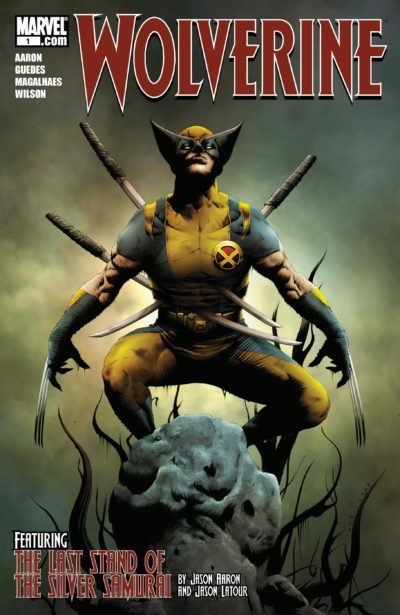 This run was very thoroughly collected in modern Premiere Hardcovers and trade paperbacks, all listed in the Guide to Wolverine – the simplest way to do it is to pick up Wolverine by Jason Aaron Complete Collections Volume 3 and Volume 4. 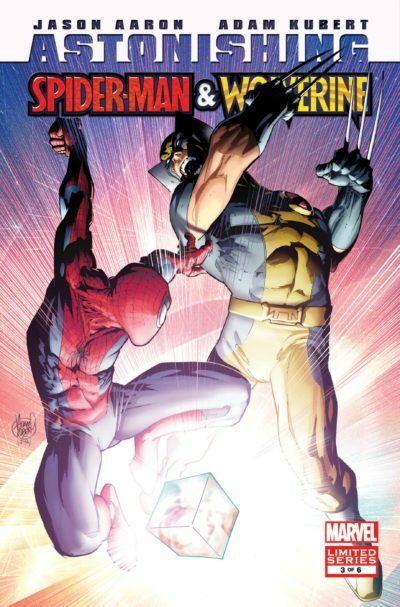 Plus, every single issue is on Marvel Unlimited – head to Astonishing Spider-Man and Wolverine, Wolverine, X-Men: Schism, and Wolverine: Japan’s Most Wanted. You can think of Jason’s Aaron’s time with Wolverine in three parts – Vicious Wolverine, Vengeful Wolverine, and Fatherly Wolverine. Yeah, that last one wouldn’t work so well as a title as the first two. The first Jason Aaron omnibus contains all of the Vicious Wolverine stories. These are super-bloody, knock-down drag out tales that – despite being forgettable – got Wolverine back to short-arc adventures after his ongoing got burdened with bigger stories and event tie-ins. Fatherly Wolverine is entirely contained in Wolverine and the X-Men by Jason Aaron, which features a kinder, more-custodial version of our hero.